At Fire Protection Shop we supply a full range of fire blanket material on a roll in a variety of sizes from 1m x 100m to 1.8m x 50m. 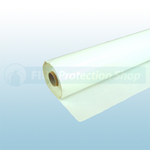 The fire blanket roll helps to protect against splatters and sparks and features a high performance double sided white coated glass cloth material. The blankets have low level of gas permeability which is ideal for abrasion resistance. The blankets are designed for use in areas where oils, acids, greases, acidic liquids and vapors occur.